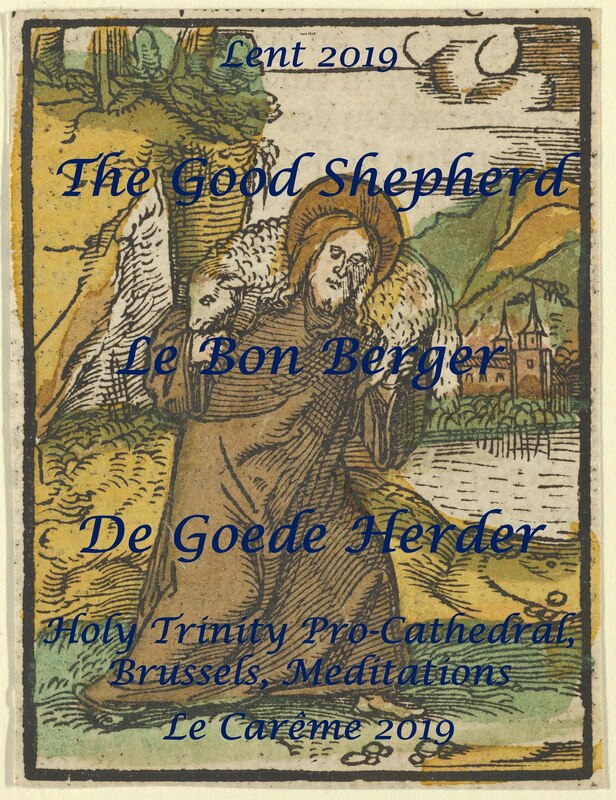 Lent Meditations Written by members of Holy Trinity Pro-Cathedral Brussels DISCLAIMER The views expressed in the meditations are those of individual members of the church who contributed, and are not necessarily those of the chaplaincy of Holy Trinity Brussels Pro-Cathedral. Read the bible passage and then the meditation. Pray, tell God how you felt about the reading and share the concerns of your life with him. Maybe you will continue the habit after Lent. Lisez le passage bible et après la méditation. Priez, dites à Dieu que vous avez ressenti à propos de la lecture et de partager les préoccupations de votre vie avec lui. On this Good Friday we will ‘survey the wondrous cross’ with Joseph of Arimathea, 'who was a disciple of Jesus, but secretly for fear of the Jews' (John 19.38). How many of us are secret disciples? In Joseph's case, I do not think this is a heavy condemnatory note, it merely states the fact about the reality of Joseph situation up to this point. However, Joseph did not stay a ‘secret disciple’ much longer, as he asked the Roman governor for the body of Jesus. Joseph’s secret was no more and the description 'secret disciple' becomes ironic. Joseph's courage and giving honour to Jesus would become known quickly and would be narrated in the best-sold book in world history. 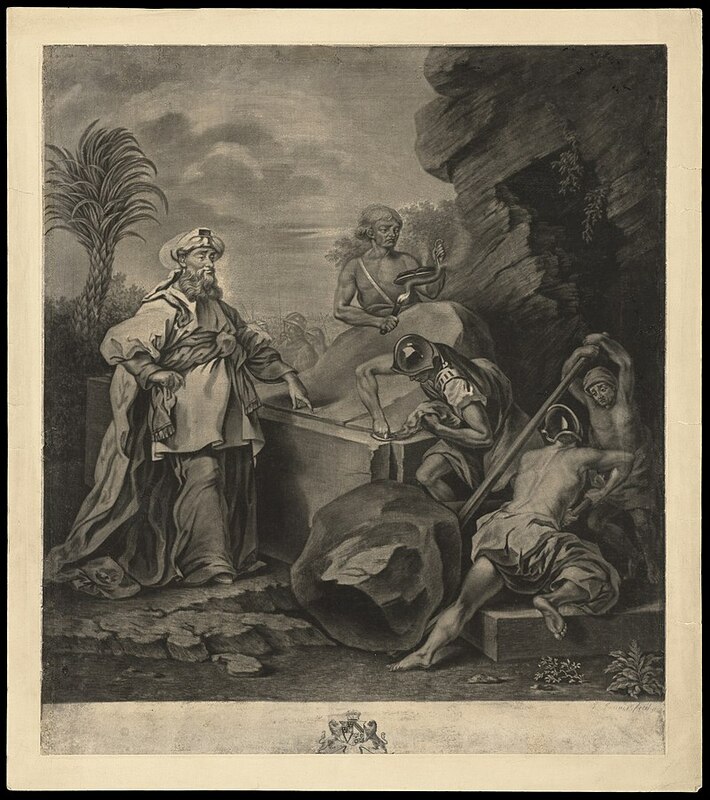 Joseph provided a virginal tomb for the One conceived in the virginal womb. Joseph did a beautiful thing for the Lord by putting him there. The Living God did an even more beautiful thing by not leaving him there…., but for that you have to come back to this place ‘on the third day’. For all secret disciples, as we ’survey the wondrous cross, on which the Prince of Glory died', let us reflect on the secret disciple who was no more. Let us give of ourselves as he did: Were the whole realm of nature mine, that were a present far too small. Love so amazing, so divine, demands my soul, my life, my all. PS: Alongside this meditation you might want to listen to the hymn ‘When I survey the wondrous cross’ (on-line) or sing it in church this afternoon. 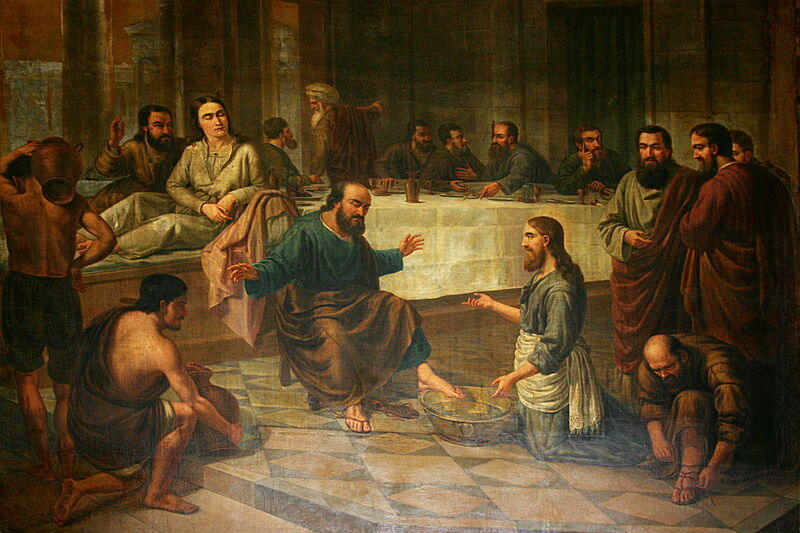 It is the tradition in many churches on Maundy Thursday to do ‘foot washing’ as part of the service. In the churches I have been part of, it is actually quite often difficult to find the volunteers who are willing to produce their feet to be washed – Yet, it can be a very profound and moving experience; both for the recipient and the one kneeling doing the washing. At theological college, John Bell from the Iona community led our service one Maundy Thursday – A friend of mine was the volunteer to have her feet washed – She described it afterwards as ‘simply extraordinary’ and was moved to paint the experience in the 24 hours silence which followed: The painting was stunning, it was worship, and it spoke to our spirits of what it was that Jesus had done for us. Jesus knelt and washed his disciples feet – In doing so he caressed them, loved them and served them in the most humble of ways and told them to go and do likewise. Less than 24 hours later he hung lifeless on the cross – the memory of his touch on their feet would have been fresh in the minds – He had made them clean, but what had they done for Him? In 2014, Pope Francis broke with all previous tradition , abandoning the celebration of the Maundy Thursday service in a grand basilica, instead choosing to hold it in the Casa del Marmo prison for young offenders on the outskirts of Rome. I often wonder what impact it had on the lives of whose feet he washed and kissed that day. This famous man of God, revered by Roman Catholics across the world, kneeling at their feet following the actions of his Lord and master. Were they touched by the love, acceptance and forgiveness that comes through Christ that day? Did they glimpse the hope of the resurrection that Easter and go onto live differently as a result? Being touched by the love of Jesus through the events of Holy week can have a profound effect on our Christian life – So don’t be reluctant and draw back, but enter into the story as fully as you can. God's Word has been important in my faith journey. I came to faith in my thirties through the faithful preaching of Colin Bennetts, then Vicar of St Andrew's, Linton Road, north Oxford. It was Colin, who became a good friend to Susie and me, who nudged me towards ordination. A few years later, I was privileged to work with Dennis Lennon, then Rector of St Thomas's, Glasgow Road, Edinburgh. Dennis was the best preacher week-in, week-out that I ever heard. The tradition in which I came to faith places a high value on daily Bible reading and a daily Quiet Time. Preferably early in the day. But for many of us it is not something that we find easy. Sometimes the prescribed passage is too familiar, and sometimes it is too unfamiliar. And clergy are sometimes too quick to turn the reading(s) into sermon notes rather than letting God speak to them (us) as individuals. 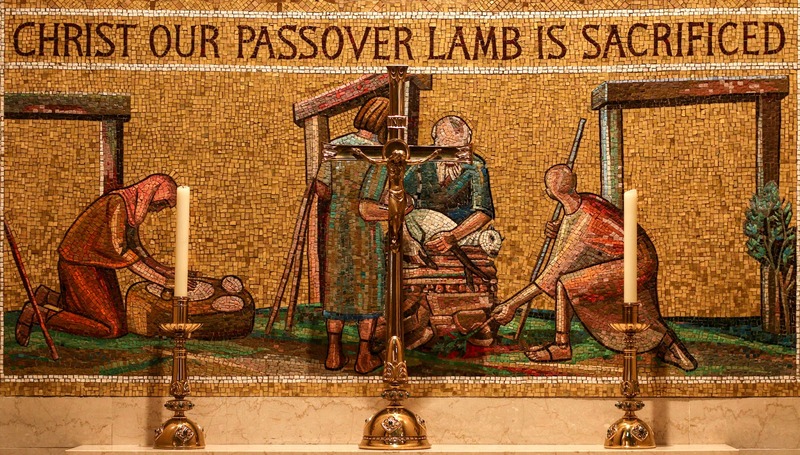 Jeremiah who was familiar with rejection and suffering is aware of those who plot against him; the lamb being led to the slaughter prefigures both the passion of Jesus and the hymnody of Graham Kendrick. And in Luke the Passion Story continues. 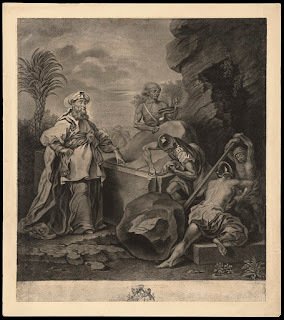 After the arrest of Jesus on the Mount of Olives by the soldiers of the Temple Guard, Peter, the strong man of Jesus's followers and undoubtedly an archdeacon in the making, is moved to betray his Lord three times. Few of us suffer persecution on account of our faith. Here in Europe clergy and church congregations are more often ignored than persecuted. And yet we are anxious about many things: the chaos of BREXIT; the challenge of unprecedented people movements; the inexorable fact of global warming; the threat of a world choked by plastic waste. We cannot ignore these concerns in our prayers. And we stand firm with the Psalmist on the hope that God hears the prayers of the prisoners and will come in glory to rebuild his world. 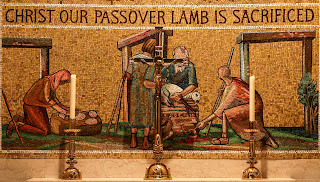 "Sacrificial Lamb", at Basilica of the National Shrine of the Immaculate Conception, Washington, DC, from Art in the Christian Tradition, a project of the Vanderbilt Divinity Library, Nashville, TN, http://diglib.library.vanderbilt.edu/act-imagelink.pl?RC=56622 [retrieved April 15, 2019], original source: https://www.flickr.com/photos/paullew/26026077355 - Fr Lawrence Lew, O.P. I write this well in advance of Lent, and having left Christmas behind, starting to focus already on the lead-up to Christ’s passion tweaks no little bit my view of where we are in the annual cycle. Indeed, Luke 22.24-53 plunges straight into the preamble to the Easter narrative: the last supper, Jesus praying on the Mount of Olives, and Jesus’ arrest - a lot for a short meditation! But hopefully a useful one, even if most of us know these momentous events so well.. I am reflecting on what, if anything, binds the different elements together, and there are a couple of things that stand out to me. The first is Jesus’ remarkable steadfastness in being the servant supreme: no violent rebellion against those misguided and angry authorities gathering like vultures around him. It is within his powers to change completely the course of events, but he chooses not to. He is single-minded in his devotion to the purposes of God, which as we know will take him to the point of the ultimate sacrifice. The second thing I note by way of contrast, is the waywardness of the human condition. At the last supper, the disciples argue over who is the greatest. 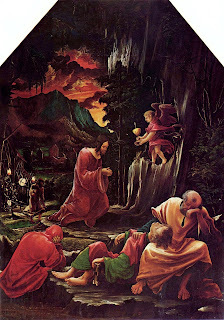 The disciples fall asleep as Jesus is praying on the Mount of Olives. Judas betrays Jesus with his kiss. The disciples cut off one of the high priest’s servant’s ear (wow, that’s really barbaric!). The chief priests arrest Jesus.. The contrast between the conduct of men and the conduct of Jesus has probably never been so sharp. So what are we to make of these events? My takeaway begins with recalling that our calling as Christians is huge. Thank God (literally) that we do not have to tackle the Christian life by ourselves. The ultimate sacrifice that I have referred to already enables all of us, if we seek it, to draw on the power of God through his Holy Spirit. Without this power we are all over the place, like the disciples. With this power, we have the hope of making it. Let’s pray that we are able to draw on the example of the Lenten Christ to spur us to noteworthy servant works of Christ, themselves a great preparation for eternal life, as foreseen by His death and resurrection. "Christ on Gethsemane" by Albrecht Altdorfer, ca. 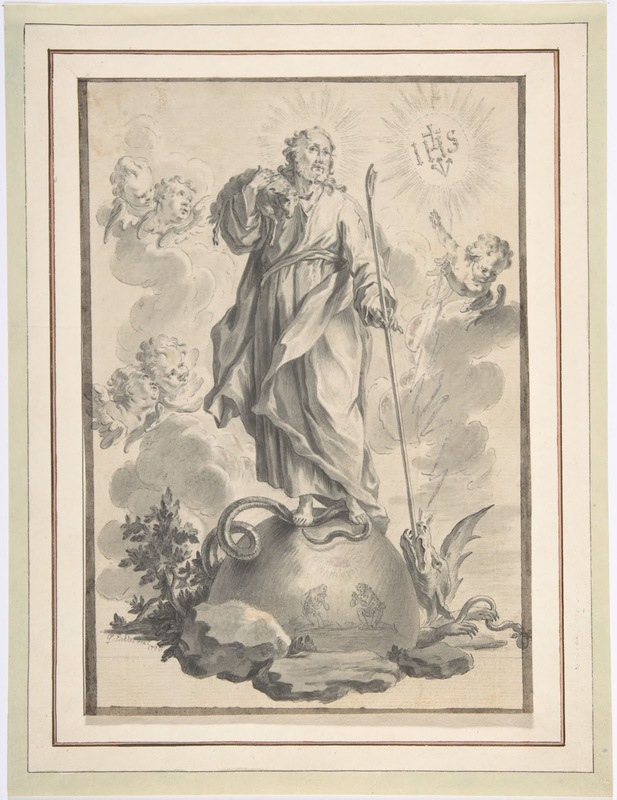 1480-1538, from Art in the Christian Tradition, a project of the Vanderbilt Divinity Library, Nashville, TN, http://diglib.library.vanderbilt.edu/act-imagelink.pl?RC=46245 [retrieved April 15, 2019], original source: http://www.yorckproject.de. In this passage, I see some reasons to understand why terrible events happen in our society, especially to those who try to do good. We see in Judas’ betrayal of Jesus an act based on betrayal and corruption. Indeed this passage contains the most infamous act of betrayal in history, yet we still see betrayal, deceit and corruption happen today. Although it is not usually for silver coins today, why can’t we seem to overcome this greed that brings death? Perhaps it’s a question of what we value. 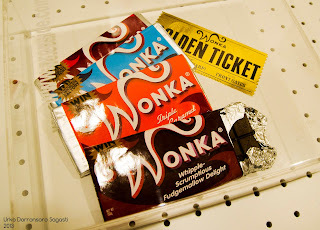 I can still remember the everlasting impact when I watched Charlie and the Chocolate Factory (2005) The scene when Charlie wants to sell the unique Golden Ticket to help support his family that are living in poverty. Grandpa George convinces him not to because there is plenty of money out there, but the Golden Ticket is unique. To me the love of Jesus is a Golden Ticket. For us it is unique and is beyond anything we could ever desire in our hearts and minds. The most astonishing part of this Gospel passage is the greatness of love Jesus shows. Even though Jesus understands who is going to be betraying him that night. He still sits and shares the bread and the wine with the person who is going to betray him. Whilst making promises of how through him we can find new life. Alle zilveren munten zijn waardeloos in vergelijking met het gouden ticket dat Jezus ons heeft gegeven. from the triumphant entry into Jerusalem until the crucifixion. This extract pauses at surely one of the most excruciating moments for Jesus as he sets his own imminent death in the context of the fulfilment of covenant promises enacted in the Passover meal he shares with his disciples. This is excruciating because of the presence among them of the one who will betray him. Luke has warned his readers earlier that this is coming but it is still a tense moment as the joy and friendship of a shared meal are overturned, and divine and human agency meet in a stand-off between love and treachery. 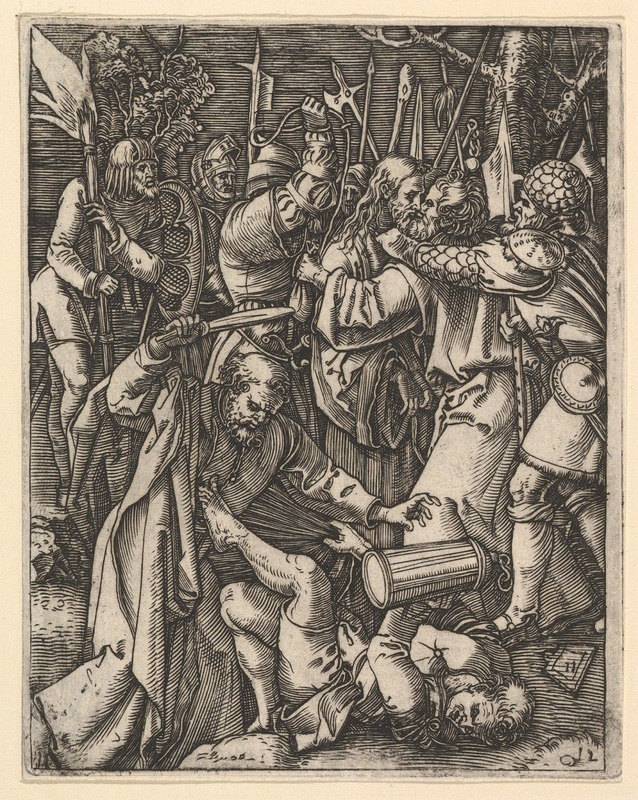 Judas serves God’s ancient purpose but must also take responsibility for his own actions. And so it still goes. God has a plan and purpose for each of us, and yet we have choices to make as we go through life. Could Judas have made a different choice? I believe so. In that case the plans of God would have been fulfilled another way. Any of us who has ever made a choice or a decision we regret can surely spare a few moments today to weep for Judas, driven to despair by his act of betrayal. Conscious of the ways in which we too betray Jesus through our own wrong-headed and self-centred choices we will hopefully resist condemning him. Unlike with Peter, the denier of Jesus, we have no biblical account of a reconciliation between Judas and Jesus, but I am in no doubt that Jesus forgave him and the choice he made, as he forgives each one of us. Pray: Talk to God about what you have just read. Tell him your concerns- for yourself, your family, our church family, our world. Praise him. Pray the collect for Good Friday Eternal God, in the cross of Jesus we see the cost of our sin and the depth of your love: in humble hope and fear may we place at his feet all that we have and all that we are, through Jesus Christ our Lord. Amen. Le mal que nous avons fait au Seigneur. Lire : Lisez le passage de la Bible. Lisez la méditation. Prier : Parlez avec le Seigneur de ce que vous avez lu. Parlez-lui de vos préoccupations pour vous-même, votre famille, notre famille de l’église, notre monde. Louez-le. 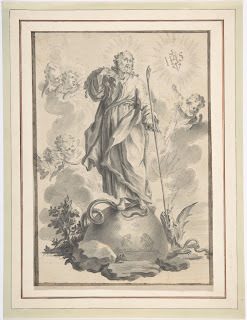 Priez la collecte pour Vendredi saint Dieu éternel, dans la croix de Jésus nous voyons ce que notre péché t’a coûté et aussi la profondeur de ton amour : en toute humilité, avec espoir et crainte, nous venons déposer à ses pieds tout ce que nous avons et tout ce que nous sommes, par Jésus-Christ notre Seigneur. Amen. Mon âme, bénis le Seigneur ! Que tout qui est en moi bénisse son saint nom. Mon âme, bénis le Seigneur, et n’oublie aucun de ses bienfaits ! If I climb up to heaven, you are there. Yesterday I was crucified with Christ;              today I am glorified with him. Yesterday I was dead with Christ; today I am sharing in his resurrection. Yesterday I was buried with him; today I am waking with him from the sleep of death. Read the words from Scripture and the Meditation for the day. May the risen Lord give us his peace. Thoughts based on the Daily Lectionary of the Episcopal Church. Tuesday 9 April - Who are these guys?